Any dinner in a Punjabi restaurant is incomplete without these soft, melt in the mouth Rumali Rotis. They pair very well with all the curries and tikkas as well. The way they make them in the restaurants is really very interesting part as they throw them up in the air to make them thinner. I don't think we can ever do the same at home. I have rolled them as thin as possible and they were really good. 1. Knead the dough with all the above ingredients. Set it aside well covered or wrapped in a cellophane for atleast 1 hour. 2. 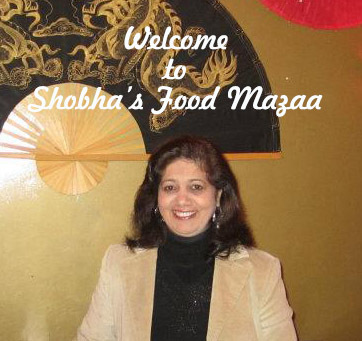 Roll out a small portion of it into a very thin roti. 3. Invert a wok/kadai on the gas burner. Let it become hot. Place the roti on it and turn it for a couple of times quickly until done. It has to remain soft..so don't over-cook it. 4. Fold it and keep in a foil immediately so that it remains soft. Serve it with tikkas/makhni dal/butter chicken....it goes with anything. He he.. you win ! 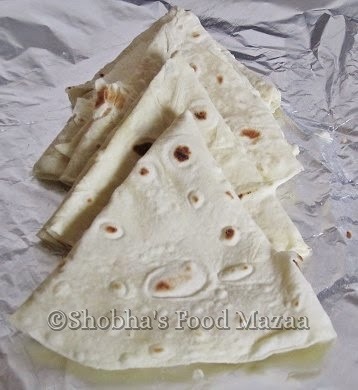 i lov romali roti.. soft and thin rotis... nice recipe..
Nice preparation...looks yummy and perfect..
Rotis look soft and delicious, just perfect. This is what I want to learn to do! Thank you for this post. Bookmarking. 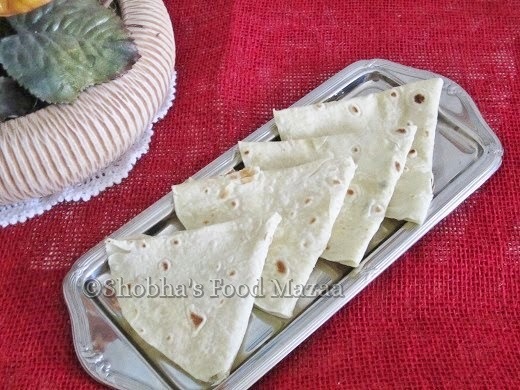 Soft and yummy roti,looks wonderful. wow superb dear !!! !the rumali rotis hav come out so well !!!!! my hubby and kids love rumali roti i did attempt somethng like this ages ago but didnt turn out the way it shows here..
i had been away on a mini break and just posted one sweet dish today. Oh Meena, give it a try again.. will check out urs too. A wonderful space you have. Glad to follow you. 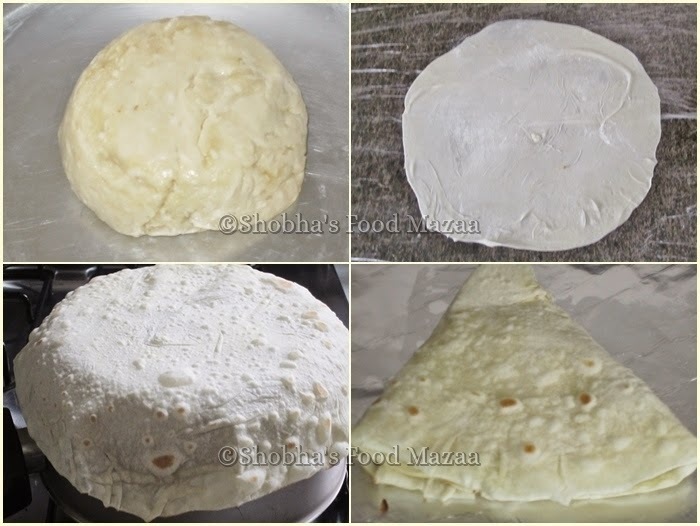 The process how you made rumali roti is really awesome. Thanks a lot Sanoli.. Welcome on my space. I will surely do the same.